Why haven't you answered any of my questions??? Instead of answering my questions you come up with more, new and contradicting lame excuses. Because you don't have any reply. I will repeat my last question again. 1) can you name any 'Technology', that Storm has and Suzukis don't? I already mentioned about Storm's body, and yes it has a disc brake. If I remember correctly Storm doesn't have EFI, it doesn't even has OHC. OHC is over 30 years old technology, by the way. Get your facts right, when Suzuki removed the 'show parts' they reduced the price by Rs.5,000/-. The price was increased a long time after that, when everybody increased the prices. I didn't know the silencer grill was a marvel of technology and for removing it Suzuki should be crucified. Go back to the first of these posts and re-read them, you will see that with each one of my replies you came up with lame excuses without answering my questions directly and later on you used the facts that I provided as your point. 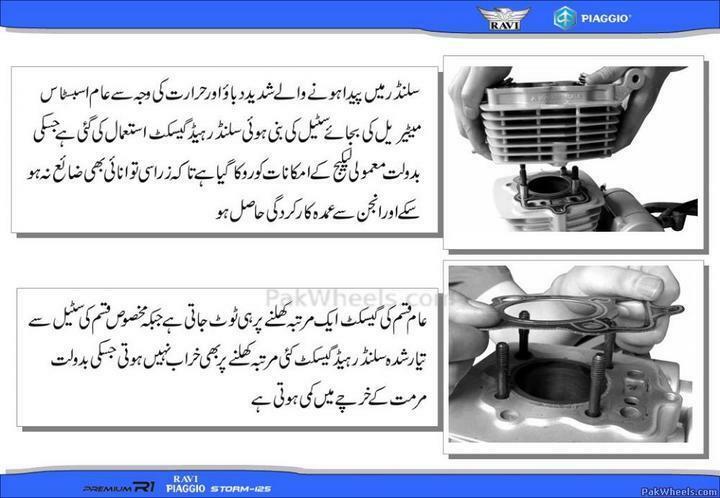 Would you explain what modern technology is being introduced in STORM-125 engine. Installing a Euro-2 device on the exhaust doesn't make the engine technology advance in any way. 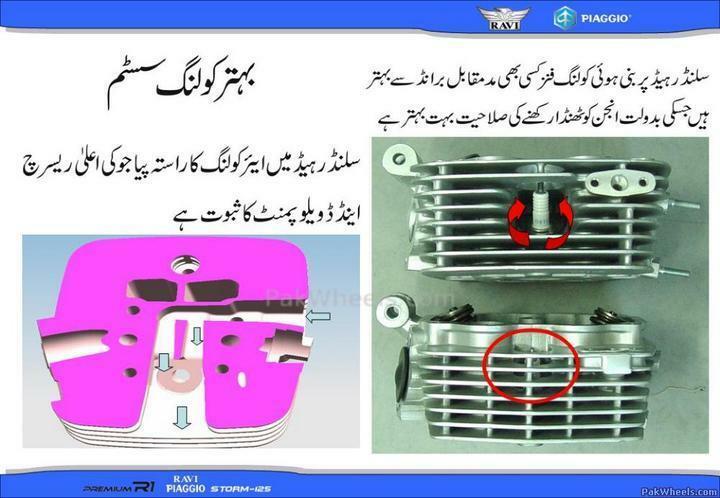 BTW storm engine has the same old OHV technology that is being used in honda cg-125 engine. Storm-125 should at least be launched with OHC technology as now its being used in most of the 4-stroke motorcycles and it is considered advance. Look at the single layer thin air filter of storm-125 and compare it with that of doubled-layered filter of cg and gs and u will see which engine would be more durable. And do not write if u don't know the facts. Talking of proving storm-125 in pick and top speed makes me laugh :o as I kept storm for at least eight months (8000kms) and I know very much about it. Hope some day I will find any of it on the road to test against. 4) I already mentioned Storm's design. 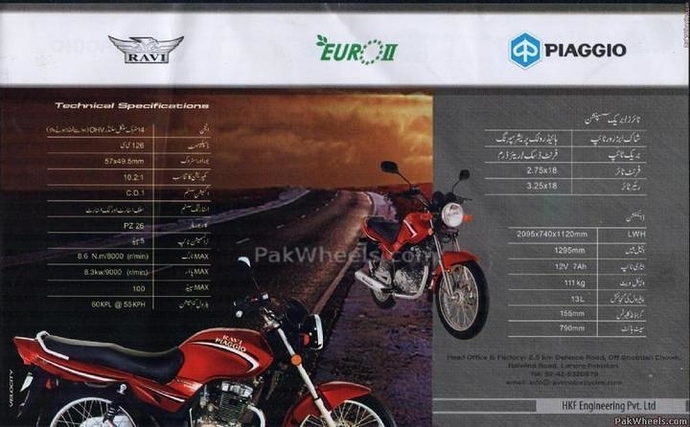 For a cruiser GS has almost acceptable design, but could have been better, and the sales would have been even lower (this is Pakistan, the land of Pakistanis and you don't like the facts about ourselves, you would rather daydreamabout one thing, act totally opposite and then rant about it). Where did the daydreams of Pakistani technology, R&D and production vanish to? You made a mistake of revealing your daydreams, please correct it too. I didn't know decrease in QUANTITY of parts was bad, I believe its better to have less parts if the bike has the same functionality. If Suzuki had removed the rear view mirror, that would have been wrong, they replaced it with different ones. I didn't know cruising was a trick. You are asking me which era I live in, in Pakistan era doesn't matter. I live in Pakistan of 2010. Where half the people say 'mein tay Honda hee laysan'. Suzuki introduced SD110 (the predecessor of Sprinter) with front disc brake a long time ago, it didn't sell well. Then they introduced Sprinter and GS150/125 without disc brake, because it was cost effective. Still the bikes didn't sell in large numbers because of price, so they removed some parts on GS that were there just to make the bike LOOK GOOD and reduced the price of GS. They also changed the frame, seat, lights and other things on the Sprinter and named the new version 'Sprinter Eco' (it had the same engine), it is also cheaper than standard Sprinter. Woooooowwwwwww. The most authentic source in the world, DEALERS on McLEOD ROAD. So thats the source of your incredible knowledge, DEALERS on McLEOD ROAD. By the way, a dealer in Rawalpindi said that 'Piaggio Storm' is made in Italy, should I believe him if he shows me a Rs.50/- made in Italy spare part? I am sure that the compression rate of the piaggio engine is not that much high. It is very easy to print it in the booklets but its actual compression is too low as compared to other 125s and its clear. Actually the european (also called geometric method) way to calculate compression is quite controversial as it gives false results. If you measure the engine compression by Trapped or Japanese method which is correct, these compression ratios will stand no where to other motorcycle compression ratios. 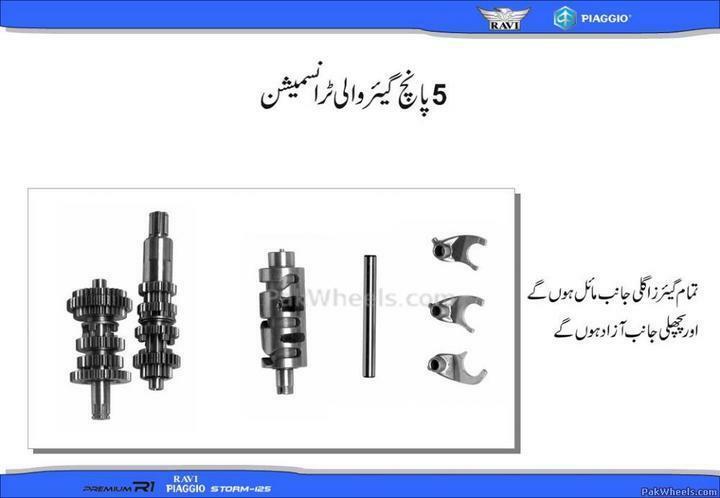 introducing 5 gears is not a new thing as 5 gears were even present in old early 80's models and still present in other models in pakistan. Actually its copy and paste special. all the things you mentioned are a minor improvement over the old design of CG-125 even than it is not compareable to cg in performance. and cg and gs are far better than storm in all respects, if not in their style but for sure in their performance. I hope in so much advanced and researched motorcycle like storm its "CHAIN KHAR KHAR" problem must have been solved by now. The images and data above may be compared with CG125's OHV, but how can you compare that with GS150's OHC engine? Maybe you can compare a 9.2:1 OHC(Apple?) engine on a relaxed mode bike with a 10.2:1 OHV(Banana?) engine on a city-sports bike, but for me its like comparing apples and bananas. Every manufacturer is trying to sell a cheap bike. Both Ravi and Suzuki are doing it, but they have selected different paths. Suzuki kept the OHC engine and old shape and dropped some non-essential parts to reduce the price, whereas Ravi chose OHV engine because it is cheaper and went with disc brake and a bit modern style (not modern design). Compared to OHC engine, OHV engines are cheaper and easier to manufacture, maintain and repair (remember CG125). 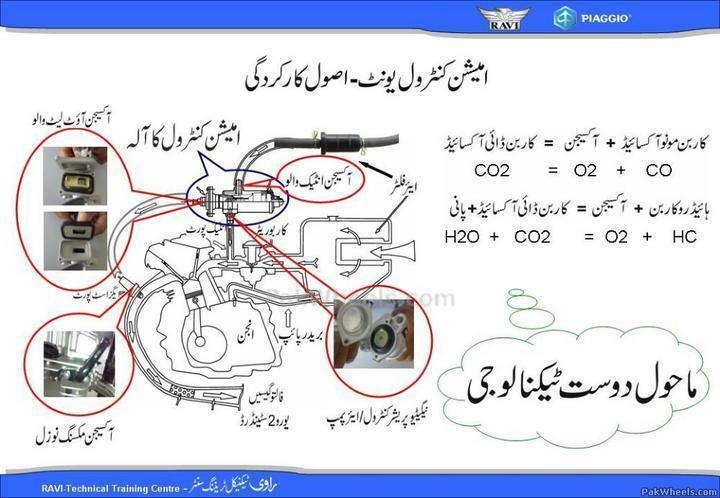 Piaggio designed the engine for CHEAPO (low-cost preferring) markets (like Pakistan's). The technologies in the above images are not there because Piaggio wants the customer to have these, they are there to offset the problems created by high compression ratio on an OHV engine. High compression ratio means higher temperatures, so to compensate for that they had to include a way of better cooling including a different gasket, not because the love for us. GS150 also has some tappet adjustment thing which needs less adjustment than other bikes. And five gear transmission??? When you had the GS150, did you know it had 5 speed transmission? And now again ur saying that ur with the people who says " may tay honda lay saan"
and yes suzuki decreased its price for a while but look now where is its Rs. 80900, without the accessories they used to give at a price of Rs.75000. So that shows the nature of the company . "I didn't know decrease in QUANTITY of parts was bad, I believe its better to have less parts if the bike has the same functionality." Dude everybody has their own way of thinking, u ppl are arguing for nothing and i bet u both r going 2 get furestrated in the end with no one winning this debate, its a useless debate. U took a bold choice by purchasing a storm, no doubt its the bike with best and max. features in the market, but nw dont try to prove here that its the smartest choice 4 all coz u dont knw wht others preffer? Like im a student, i dont have time 4 ****.. i wont get a bike Without best availability of spares and services near my locallty. So if i have a budget for a bigger bike ill go 4 GS rather than storm.. Coz i cant go Mcloed road every other day to get its parts and services done. See? first you tell whether the compression ratio shown in the images you posted are measured through european or japanese method than ill tell you my source of information. you are right that lies are done here and is obvious from the following picture. Look at the top speed mentioned. its written as 100km max, whereas in the owner's manual that's issued to the storm purchaser its written as 85km max. Now who is lying here. 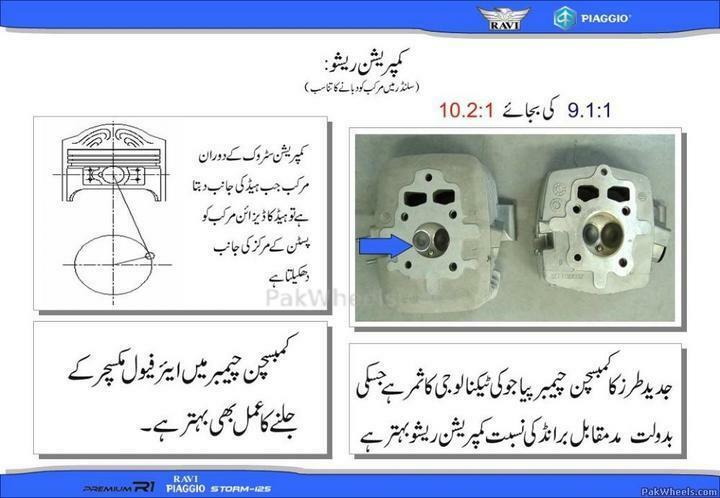 Can u explain whats the international standard for chain cover and plz also give reference to it. I know that the Brazilian version of cg-125 had first a naked chain cover but in the later models it came with full chain cover (and that was done for longevity of the chain drive system). So if Ravi has removed the full chain cover than you cant blame suzuki for replacing the chrome mirrors with the simple one as it had the same functionality as before, but by removing the chain full cover in storm they have removed an essential part that was important for our dusty environment. I am surprised that Ravi cant even correct a minor problem of chain cover and ran away by making an excuse that now we are giving it according to international standards and removed an important functionality. plz also tell how ur bike chain cover problem was solved and what about the rear wheels rubber bushes that get loosen every other day and the m/cycle giving jerks at every gear change. yes u right it will beat cg in third gear. at that time cg will be going at 110 kms and in 4th storm will go to 130 and in 5th gear to 150 and it will beat civic. but the picture above is saying that its max speed is 100km (actual on user manual is 85) so who should I be trusting, u or the manual printed by the big Piaggio company. I thought it was the cg-125 silencer that made that sound. 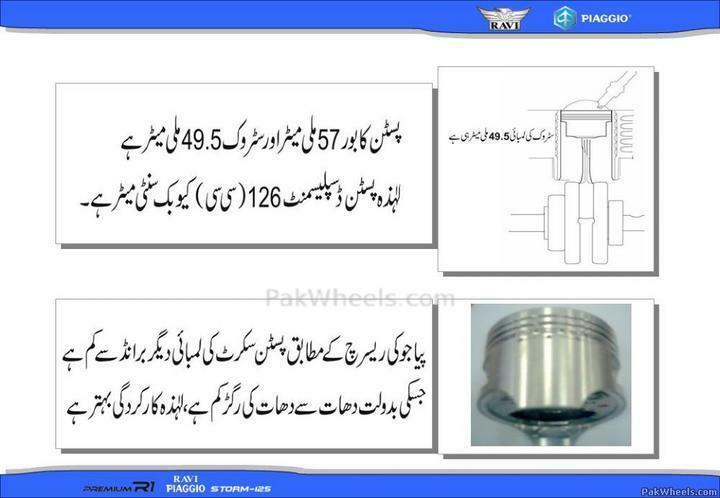 :o What if we install the storm-125 (gs copied) silencer in the cg-125. Would it still made that typical sound of cg. Storm-125 is also OHV, then why don't it makes sound like that of cg. Normally I don't have time for this kind of $*** either, but currently I'm compressing a lot of pngs and it takes a while for each bunch, so in the mean time I can enjoy some non-sense. Why would I get frustrated, I'm enjoying someone choke on his own words and never mention them again, remember, it all started with some extremely high ideals of Pakistani technology, R&D and production then it came down to begging other nations for technology then lame accusations of doing nothing about it, and so on.... And now it has come down to CHROMED MIRRORS being replace with plastic backed mirror. 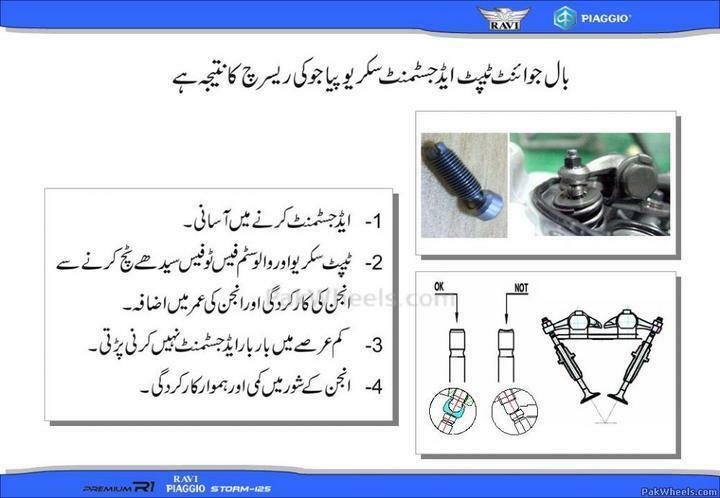 I am eagerly waiting when a summary capital punishment is awarded to all Suzuki GS150 owners. atlast im enjoying some1 double of my age and still cant answer the Valid Questions i asked. who are going backwards by removing accessories. so thats why its printed differently at different brochures. I guess the local importers tested the bike at downward slope and the bike reached 100km so they printed it 100 and the piaggio tested it on upward hill or against crosswind and it reached 85km so they printed 85. Is that the standard of testing the top speed of motorcycles. would u tell whats the advanced method of testing motorcycles top speed as I dont know it and whats the piaggio standard. As per ur saying of top speed testing of piaggio that its minimum guaranteed speed so in the same way the compression ratio u told would be minimum guaranteed compression ratio , so I wonder what could be the actual compression ratio like 15.2:1. wow thats impressive. Imran bhatti said that it can go to 110km and most of the ppl say tha cg can go to 120 so how did u beat cg in third gear. is there some kind of turbo installed in ur piaggio. There is also a useful link about piaggio. a lot of discussion was going on this thread about improving the local market for motorcycles but that was closed for some reasons. Here is the link.